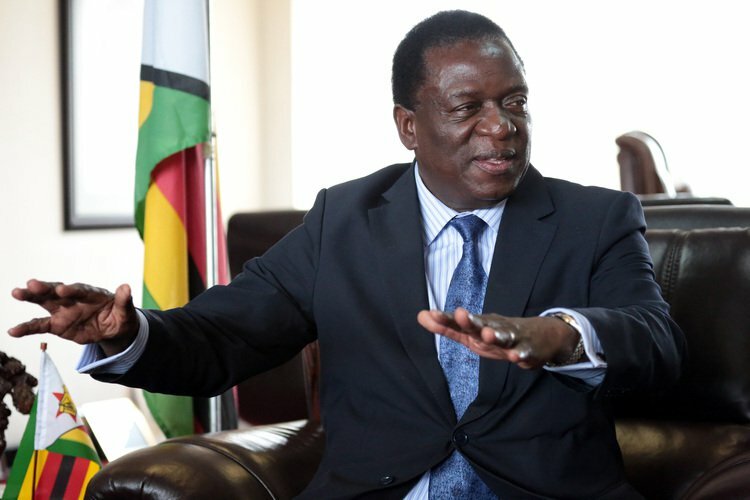 Acting and soon to be President, Emmerson Mnangagwa, is now preparing for State power and to immediately usher in a quasi transitional government, to replace long serving President Robert Mugabe, and allow him to position himself and the ruling Zanu PF party a shot at winning the watershed 2018 presidential and parliamentary polls against a united grand opposition, Spotlight Zimbabwe reported. The shock news, which this publication has followed closely since March 2016, also comes amid reports that the International community is already warming up to a Mnangagwa presidency in 2017, with countries such as China, Britain, South Africa, Iran and recently Israel reportedly throwing their weight in support of the country's founding intelligence service minister. High ranking ruling party officials sympathetic to the vice president, have leaked details of how despite being endorsed as Zanu PF presidential candidate for 2018 at its just ended Conference in Masvingo, Mugabe is all but going to step down for Mnangagwa to finish his term. It is also coming to light that Mugabe's endorsement by all structures of the party, was in fact allowed to happen to preserve cosmetic unity in the faltering liberation movement, while avoiding inevitable pandemonium likely to be caused by Mugabe's sudden exit. "This is it," said a central committee member known for their vast business empire in the capital. "Honestly the party had to speak with one voice in Masvingo, but the truth of the matter is that Mnangagwa is now coming in. These are decisions made by this country's political elders and hardliners, and you know them. Their meetings and deliberations are not for public consumption." Another senior Politburo member said there is a feeling that Mnangagwa, if given a chance can prove himself and the reasoning is that he needs to rescue the party from electoral threats posed by former PM, Morgan Tsvangirai's MDC-T party together with ex-VP Joice Mujuru's Zim PF, which are feared to be in an increasingly "dangerous position" to topple Zanu PF from power in 2018. "Spotlight Zimbabwe has been making a fair attempt to unravel the mystrey although you're not always getting the whole picture," he said. "Crocodile (Mnangagwa's nickname) is preparing for power as we speak. There is an urgent need for him to try and fill the first secretary's shoes, which are very big for anyone. Experience will be gained by finishing off his (Mugabe) term, because he is not in the best of health. Mnangagwa needs at least a year at the helm, to consolidate our election machinery to defeat Tsvangirai and Mujuru, who are being backed by the Pentagon with millions of dollars." Disgruntled war veterans have openly supported Mnangagwa, whom they say is Zanu PF's future, warning that blood could shed in the country, should anyone try to sabotage his elevation to succeed Mugabe. Section 101(1) "If the President dies, resigns or is removed from office – the first Vice-President assumes office as President until the expiry of the former President‘s term of office;…"
Section 100(1) "Whenever the President is absent from Zimbabwe or is unable to exercise his or her official functions through illness or any other cause, those functions must be assumed and exercised— (a)by the first Vice-President;.."
Mugabe might be forced to step down on health grounds and advanced aged upon his return to Zimbabwe at the end of January 2017, our informants said. Prominent opposition MDC-T legislator, Eddie Cross, has revealed in startling disclosure, that Mnangagwa is a step away from becoming president, adding that Zimbabwe has already gone through a bloodless coup since late 2014. Cross made the commensurate remarks, during a recent interview with the Kenya Citizen TV ( see video below starting from 17:08 – 19:47). "We've been through a political coup in the last six months," said Cross during the breakfast interview while in Kenya. "Mujuru was the vice president for 10 years, and was clearly the most popular politician in Zanu. In fact we in the opposition, in the MDC regarded Mujuru as our only real opposition in a democratic sense. We feared that she would become candidate for Zanu, because she held some popular sway in the country. We always wanted Mugabe to be the candidate against us because he's least popular, and has no pull anymore." "But a man called Mnangagwa……has made a determined bid for power, and as part of that bid, the first thing he had to do was to destroy Mujuru, which he did. We call him the crocodile, and you know if a crocodile is threatened, he goes underwater you don't see him. The next time you see him it's too late. Well when Mujuru saw the crocodile coming it was too late, and she has been eliminated. "………..The reality is that Mnangagwa has become senior vice president, and therefore constitutionally, and politically he will assume the presidency, should the president die or be incapacitated. I think what's happening right now, is that Mugabe is handing authority to run the state, not to take over the presidency, but to run the state operationally to Mnangagwa." Insofar as the International community is concerned, China has promised to pump at least US$5billion, as support for a Mnangagwa administration economic rescue package. London is believed to be working on convincing International lenders, such as the IMF and World Bank, to open their doors to Harare, in order for the economy to begin recovery. Downing Street's diplomat in Harare, Ambassador Catriona Laing, has been accused by the opposition of supporting Mnangagwa's power agenda. Liang has however described Mnangagwa as a "slippery character". The ANC in South Africa, is also said to have come on board in solidarity with the VP. Their own vice president, Cyril Ramaphosa, was in the country last week attending the Zanu PF Conference in Masvingo. Tehran is reportedly backing Mnangagwa, in order to perpetuate her anti-West foreign policy with Harare, while increasing military cooperation and eying Harare's virgin uranium reserves. Mnangagwa has travelled to Iran before, the latest being in 2012 when he was the country's defence minister. Israel on the other hand, according to government sources is being courted by the vice president, to help him with his command agriculture project, as he tries to turn the food security fortunes of the country around. Agriculture in Israel is a highly developed industry: Israel is a major exporter of fresh produce and a world-leader in agricultural technologies despite the fact that the geography of Israel is not naturally conducive to agriculture.